Enjoy a tour around San Juan Island from downtown Friday Harbor. Our 20 minute seaplane tour originates in Friday Harbor and circumnavigates the Island. Our aircraft are equipped with headsets and an intercom system so your pilot will be able to point out areas of interest and answer questions during your tour. Your seaplane tour begins with a departure from Friday Harbor. The views of the neighboring San Juan Islands come into view along with majestic Mount Baker. Your flight path will take you towards Cattle Pass where you will enter the Straits of Juan de Fuca and the Haro Straits along the west side of the Island towards Roche Harbor. 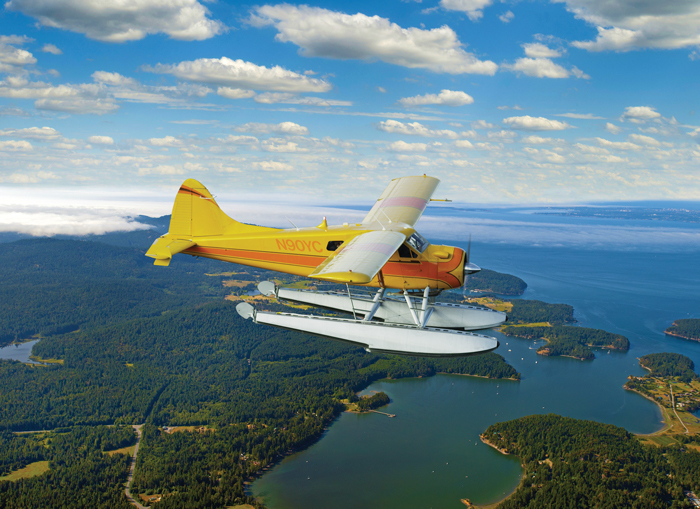 The final leg of your tour will bring you in for a gentle water landing in Friday Harbor.